IGuru presents a web platform for students, parents and school management to connects effortlessly. 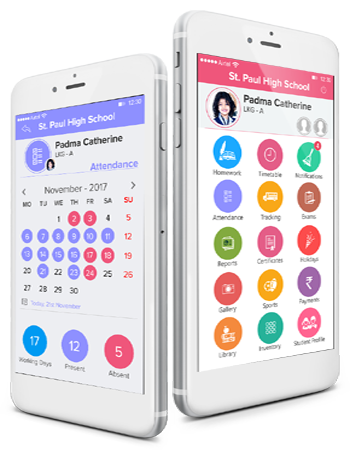 Application caters best school management software which is a systematic way for management associated activities. Students information system software simplifies process for both management and administration to perform certain activities like- Students Enquiry, Admission, Attendance, Assignments, Time-Table, Exam Time table, Holidays, Hall Tickets, Library, Hostel Id Cards etc. Admin activities becomes easy to perform at the time of admission. School Automation Software is time saving and it allows to optimum utilization of time. Parent friendly, certainly a sigh of relief for working parents. Activity tracking becomes very easy.